Mr Molesley’s Socks are available in both top down and toe up versions. 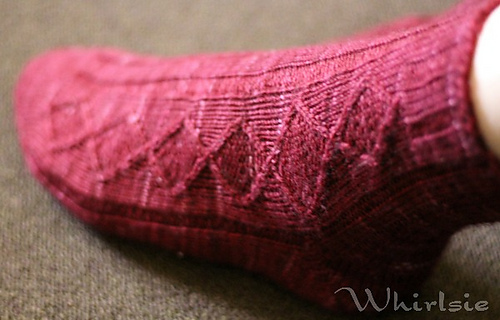 It is a mirrored, textured sock and uses simple cables along the sides. 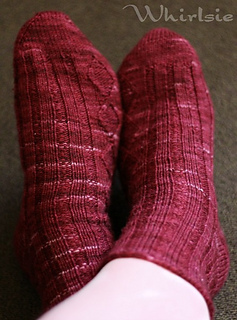 Worked in sport weight, these socks knit up fast and are delightfully squishy! 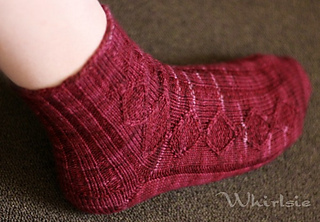 This pattern is available in 3 sizes and uses a short row heel. I recommend using the Fish Lips Kiss Heel, but I have provided alternative instructions too. 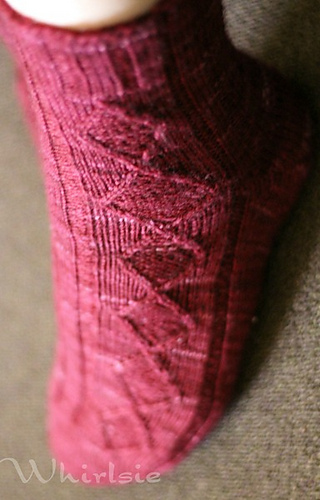 Named for Mr Molesley from Downton Abbey, these socks are traditional, if slightly off centre.